Rodrigo Díaz was born in Vivar, a small village situated 7 km far from the city of Burgos in the year 1043. Diego Lainez`s son, a nobel knight of the Castilian Court and son of a Rodrigo Alvarez´s daughter. From his father´s side, descendent from Lain Calvo, one of the two juries from Castille, he incarnate the prototype of the castilian knight with the maximum virtues; strong, loyal, just, brave, sensible, temper, warrior and educated. 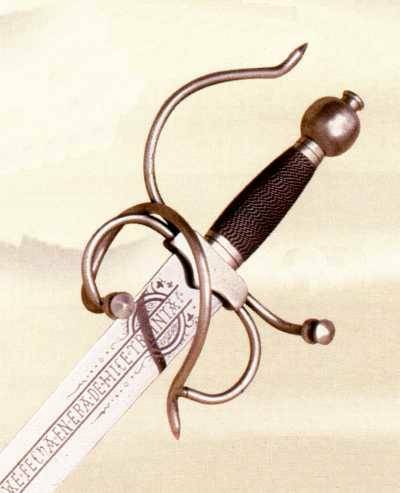 The Cid Campeador riding to backs of its horse carrying in its right hand the Tizona sword of the Cid. His father died when he was 15, and he grow up in the court of Fernando I with the monarch´s son, Prince Sancho.They both grow up together and they became a very good friendship that go on for five years. He was also educated in letters and in law in the Monastery of San Pedro in Cardeña, lessons which he would use later to represent the monastery in lawsuits, and he also represent Alfonso VI, who trust on him several diplomatic missions where he had to know perfectly the laws. Between the years 1063 and 1072 he was the right hand of don Sancho, and he fought next to him in Zaragoza, Coimbra and Zamora, period where he was firstly named knight and he was also named second lieutenant and "prince of the hueste" of Sancho II. 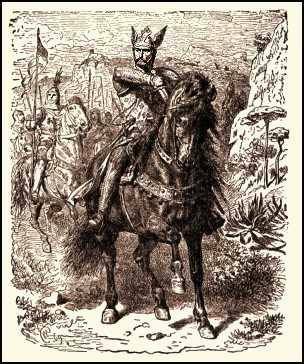 When he was 23 he obtained the tittle of "Campeador" -Campidoctor- because he defeated the second lieutenant of the reign of Navarra in a personal duel. When he was 24 he was known as Cid o Mio Cid, expression of admiration and dear, that means boss or sir in arabic. Rodrigo Diaz de Vivar, "the Mio Cid", in one of its battles. With the death of Sancho II in the siege of Zamora and the taking possession of the new king Alfonso the sixth, the Cid´s luck changed and his great capacity was rejected because of the anger and envy of the new monarch who put Garcia Ordoñez in the Cid´s place, although he compensated the Cid with the marriage with Jimena Díaz in 1074, Alfonso V´s greatgranddaughter and the Count of Oviedo´s daughter, with who had two daughters and one son. In 1081, the Cid is exiled for the first time in Castille. 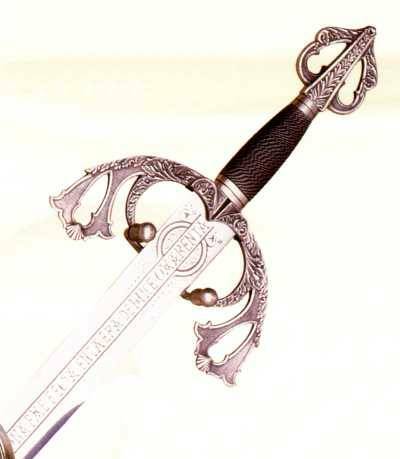 300 of the best castilian knights acompanied the Cid in such a difficult situation. This period go on for 6 years, during Rodrigo and his men took advantage to convert Zaragoza into his headquarter and to fight in Levante. He came back to Burgos in 1087, but the peace with the king was not for long, so he went to Valencia where he became the protector of the musulman king Al-Cadir and he subject to the kings of Albarracin and Alpuente´s will. In 1089 he crossed Gibraltar and the king Alfonso VI asked him for help, but for a mistake between both, it appears a new confrontation and the monarch exiled him again in 1089. In the following ten years, the Cid´s fame rised enormously, contrary to Alfonso the sixth´s reign. In less than one year, Cid became sir of the morocco reigns from Lérida, Tortosa, Valencia, Denia, Albarracín, y Alpuente. In 1093, his protected from Valencia, Al-Cadir, was killed, city that was taken by Ben Yehhaf. Cid besieged the city during 19 months and he finally enter in the city with triumph in June in 1094. Rodrigo became sir of Valencia, he gave a balanced and envyable statute of justice to the city, he rebuilt christian religion and at the same time, he renewed the mosque of the musulmans, he coined, he surrounded with an oriental court of arabic and christian poets and important people from the world of law, definitely, he organized magnificiently the life in the city of Valencia. He still had to fight in numerous battles, like the one that confront him with the almoravid Emperor Mahammad, Yusuf´s nephew, who came to Valencia accompanied with 150.000 knights. The victory was total, it was so big the number of enemies like so big was the booty that they took from them. Firmly stablished in Valencia, Rodrigo allied Pedro I of Aragon and Ramon Berenguer III of Barcelona with the purpose of stopping the almoravid pressure. The military alliances were also strengthen with marriages. Cid´s daughter, Maria, got married the Count of Barcelona and his other daughter Cristina with the prince Ramiro of Navarra. In 1907 his only son, Diego, died in the battle de Consuegra, leaving Rodrigo without male descendents. On 10th July 1099, Cid died. All the Christian community cried his death. Cid´s remains and Jimena´s, his wife, are today in the centre of the cathedral in the capital of Castille, Burgos, but his spirit is still present between us. In the outer facade of the Cathedral of Towns, is the altarpiece of heroes in whom we can appreciate the image of the Cid Campeador. Even Cid himself couldn´t imagine the transcendence of his life after his death. All the juglars in the following centuries after his death would count his life and feats in the form of singing poems, and they would also invent his legend. There are several writings about Cid, emphasizing "Cantar de Mio Cid" and it is said that it was written by two juglars, a juglar from Medinacelli and another one from San Esteban. So "El Cantar del Cid" is a song recited by the juglars of that medieval times. The text that is kept, is a transcript from a copist called Per Abbat in a manuscript of the 14th century, kept in the National Library. The manuscript has not a great beauty and it has several mistakes, some of them corrected, and it is caused for the use of the juglars to remember its words when they were reciting it and not for more. It is possible that a primitive "Cantar del Cid" would exist in 1120, although the experts think that the content wouldn´t be as the one kept till 1207. 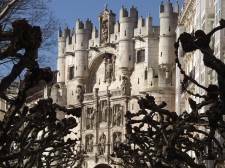 Today they are kept, with great admiration, monuments and chapels in the towns where Cid stayed in his trips and battles. 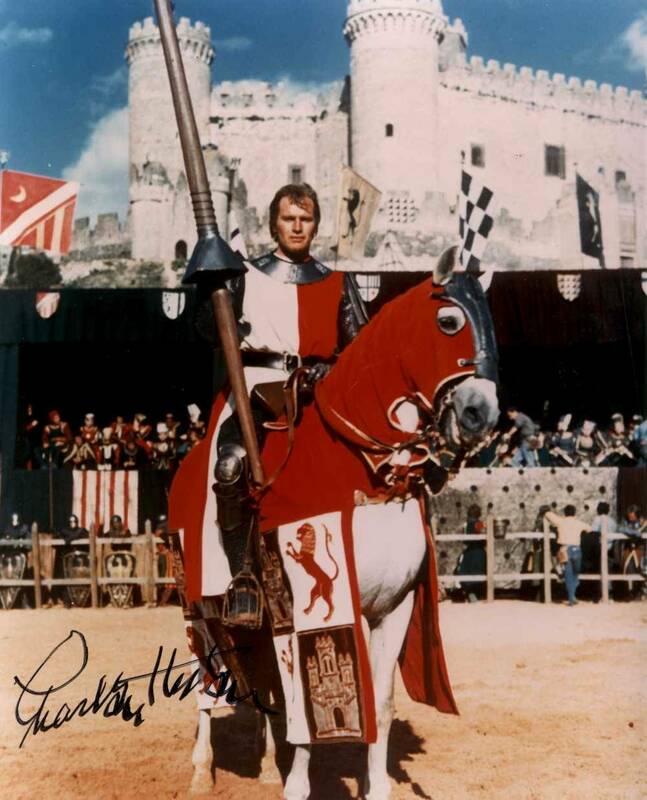 In years 60 in the locality of Peñíscola (Castellón - Spain) the film was rolled on the Valiant Cid carried out by Charlton Heston. This photography dedicated to our company, shows Charlton Heston during the running of the film "the Cid".